Shows 2019 - We are looking forward to your visit! For working on the platform foot control is most often inevitable. 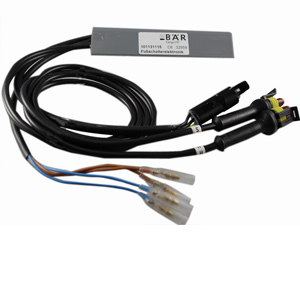 It is not only a control element for lifting and lowering of the platform but foot control – more precisely the foot control electronics - is also an important signal transmitter for flashing lights and cabin control switch. This is why you may order foot control buttons and electronics from April 01st, 2019 until May 31st, 2019 at a special discount! Why should you wait? 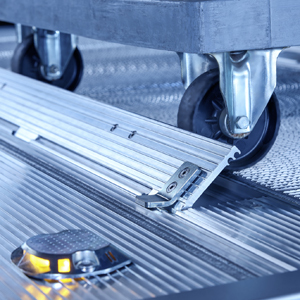 Lower weight, improved design as well as equipment in line with requirements – these were the intentions for the redesign of our platforms for Retfalt Cargolifts. We start with the 4 cylinder BCs of the product group that will switch from the current platform system BAret40VL to the new BAret45VL. 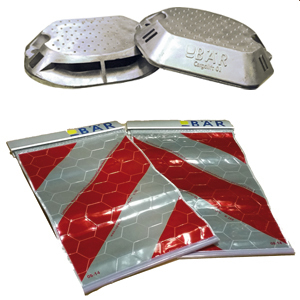 Also in this year we start our spare parts promotion with flashing lights and warning flags at a special discount! Why should you wait? Bär Cargolift is one of the largest manufacturers of taillifts in Europe. 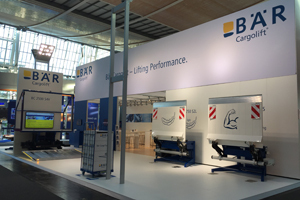 Bär offers Cargolifts for all applications and vehicle categories with working loads from 500 to 3000 kilograms: Standard taillifts, single or double folded retractable taillifts and the FreeAccess Vanlift. All products are manufactured in-house at the company's main facility in Heilbronn, where the first Bär taillift was designed and manufactured by Gerd Bär over 30 years ago.